Emerald L King is a lecturer in Japanese at La Trobe University (Aus). She studied in Australia and Japan before receiving her PhD in Japanese literature from the University of Tasmania in 2012.She worked at Victoria University of Wellington from 2013-2018 and was appointed head of Japanese in 2016. 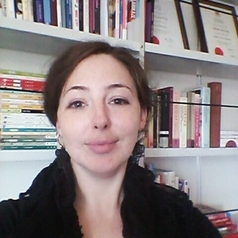 Emerald's research interests include violence in text; masochistic theory; kimono in Japanese literature; costume representation in anime and manga; and cosplay in Japan and Australasia.